That will ring true, if Tampa Bay allows 252 yards to the Falcons on Sunday. Per today’s late-morning Twittering of Bucs beat writer Rick Stroud from Bucs practice, Schiano has had enough of the Bucs’ dreadful pass defense and wants his players to know how ugly it is. 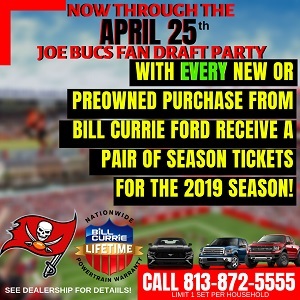 Joe can only imagine how angry Schiano would be if he had to buy a ticket to watch the Bucs secondary, versus earning a couple hundred grand a game to call it his own. I wonder what he has to say to Bill Sheridan behind closed doors. Anybody got a live chicken? Looks like a guy ready to bite a head off! Yikes! That is an angry man. Freeman need to take note of the fire in Schiano’s belly. I love that he is expressing himself. Schiano cares, and is determined to turn the Bucs around. He was a great hire. Ask Eric, he is the next Chuck Noll. Nevermind. Just saw it on ESPN. Go to BSPN. Pay Yas. is all over it. Looks like V-Jax and Nicks got “2012 roster bonuses” paying them out most of next year’s money. This will free up to 18$ million. I think this is just the begining. This is a great sign for the fans. We are finna blow this thing up and weed out the unproductive players. 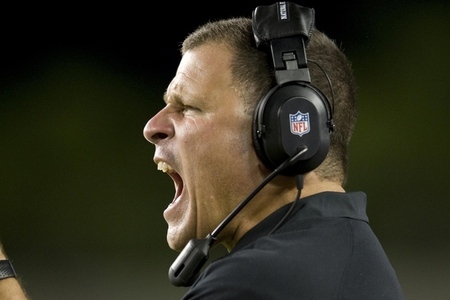 All hail Schiano and his revolution! @SteveK — Does Joe go to your business and tell your customers to go somewhere else? Joe’s got a story up. This can only mean good things. Something big is about to happen. Either through trades or a lot of FA signings. Get rid of Black, Wright and we are sitting far far under the cap level. You could get rid of Trueblood as well, however we are already thin at the Tackle position as is so that might not be a good idea unless we get someone to replace him. Another exciting off season anyway you look at it. That’s good because after this mess of a season, the fans need something exciting to happen heading into next season. Good HE NEEDS to be Should BE !!! I am and I don’t get a penny more in my paycheck if they win or loose nor does my job depend on it. I think he will clean house in the off-season. I wouldn’t be surprised if he fired Cooper and/or Sheridan. Regardless my guess is he has spoken with the front office and said “I need some (expletive) corners and pass rushers !! !” Hence the reason for the restructures. If we can get some play makers on defense a good offensive tackle and tight end (blocker and pass-catcher) Martellus Bennett appears to fit that bill. We can take a lot of the pressure off of Freeman. Like they always say a QB’s best friend is the running game. Looks like an exciting off-season at least. @SteveK – good ole Ground Chuck – I like Schiano’s attitude and think he has us headed in the right direction. Lots of experts (former and current GM’s and players) seem to believe so as well. Going to be an exciting off-season – yippee. A lot of experts (former and current psychiatrists) would prescribe Zoloft or Paxil with a double dose of Abilify topped off with a steady dose of Valium for the coach’s nihilistic behavior mixed with an acute Napoleonic Complex and temper tantrums. They might also petition the court to take away any firearms he might have stockpiled. I would also closely look into your own bipolar mood swings. Ie, “Going to be an exciting off-season – yippee.” Textbook example of that disorder. I’m still trying to diagnose that group of experts you have in your back pocket that always seem to agree with you. Be careful with Martellus Bennet. He’s “me-first’ guy, which is why he was run out of Dallas. He shown some flashes, but by NO means, a great TE. IMO, his potential for doin damage, outweighs any positive potential he could bring.